five.one.five.zero.zero. : renew your US passport...by MAIL! renew your US passport...by MAIL! did you know that you can renew your US passport by mail in Italy? considering how the bureaucracy runs around here i was amazed to learn that this was possible. thankfully a coworker had done this before and was able to help me along. and now that i've successfully accomplished this feat i can offer tips for those needing to renew in the near future. you'll want to check out the consulate website for all the details, but here's the overview. mail all these items to the Consulate nearest you. i sent them via Italian mail with the raccomandata, which means someone must sign for it. it cost just over 8 euro. i sent all this whole package off in the mail on january 10, crossed my fingers and said a little prayer. italian mail isn't known for its efficiency! two weeks later, on january 24th, i hadn't received the signature slip back yet from the post office and i must admit, i was starting to panic. had they received my passport? was it lost in the depths of the mail system? i emailed the consulate. asked if there was any way to know if they had received my passport. this was their response. and i started to imagine all the hassle i was going to have to go through to declare my passport lost and how many hours i would have to sit at the consulate. and my old passport is full of all those amazing visas and travel stamps that i have collected in the last decade. i went to lunch and told everyone my nightmare. and they all decided they would send positive vibes to my passport! and when i got back to the computer after lunch i had another email from the consulate! bless their heart. positive vibes for the win. so it took just fifteen days to get my new passport mailed to me. Have you ever renewed by mail? I wonder if this service is available at other locations overseas. 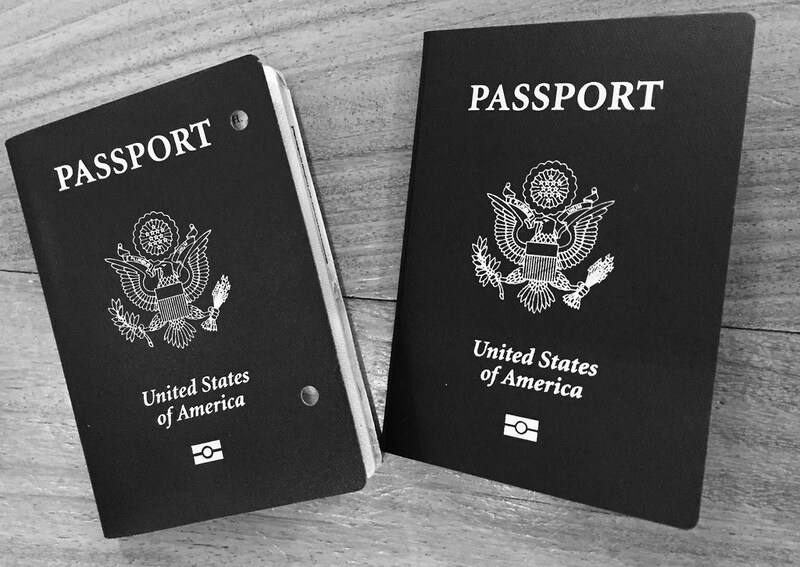 If you have a passport success story, please share! a solution to our problems!